The performing arts, as wise intellectuals have surmised over the years, are one thing that separate humans from the animals. In all cultures across the world, those who express themselves through singing, music, dance, or acting numbers in the hundreds of millions. Yet, the medical and physical needs of these artists have rarely been made a priority–by artists, by instructors, by medical professionals. Looking at the issue more closely, one becomes confused. Colleges will have eight athletic trainers covering one football team but nobody covering marching band or drum corps, who practice longer than the players. Sports medicine research can tell you how many pitches per game and per week a seven-year old can throw, but we cannot tell how many hours of dance per week is safe and appropriate. A football player can have shoulder pain and every test and modality will be used to get that athlete back for game time, yet a professional musician with shoulder pain may be told to take six weeks off, potentially costing him or her their seat in the orchestra or band. Performing artists require significant and, often, dramatic physicality to perform at their best, whether it is obvious like a dancer or gymnast, or internalized like a singer or violinist. But they can hurt the same as a basketball player. They often lack health insurance. Most performing arts do not have a minor-league farm system or injured reserve where they can recover properly from an injury. A performing artist must perform, and perform perfectly, again and again. Otherwise, another artist will step into the role. This creates perhaps the biggest barrier to getting artists better. More insidiously, the constant exposure to high-decibel sound from music or dance rehearsals, pounding unchecked on the eardrums of young children and polished professionals (even athletes playing in large stadiums) has made hearing loss and tinnitus an all-too-common problem. Fortunately, help is on the way. 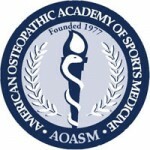 Since sports medicine has advanced the care of the athlete so well over the past 25 years, a few leading performing arts and sports medicine professionals felt that by utilizing the sports medicine model for health care and research, the culture of performing arts could advance to better take care of the artist. From this insight, a collaboration was born among performing arts and musician groups and sports medicine associations: Athletes and the Arts. Our goal is simple–take better care of our performing artists. Through prevention, research, outreach, awareness and just old-fashioned, hands-on care, performing arts medicine can elevate to a higher level, allowing artists themselves to elevate to a higher level. We will all be enlightened, inspired and grateful. This collaboration is the first step. We look forward to the journey ahead.